The Palma camera bag is a compact leather satchel that’s perfect for street photography and day shoots. Designed around the needs of the contemporary female photographer, it’s incredibly chic and functional. 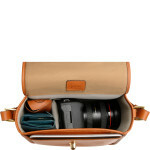 The main compartment fits a DSLR and 1-2 lenses or accessories and personal items. The slim front pouch accommodates an iPad Mini, with a further slip-pocket to the rear, making it a versatile camera bag. Conveniently store your tablet, notepad or e-reader in the slim front pocket, or streamlined open pouch to the rear, for quick access to your essentials. Whilst the Palma looks convincingly like an ordinary handbag, it’s built to protect your gear with a padded closed-cell foam interior. The turn-closure lock on the front offers a minimalistic finish. Holding firm on the move, it opens with ease to let you capture those fleeting moments. Arrive in style carrying the reinforced top handle, or keep your hands free for on-the-go photography using the padded shoulder strap. Tailored from premium leather with distinct gold fittings, this light brown satchel is more than just a camera bag, ideal for everyday use. The Palma Camera Bag is an elegant choice for female photographers, perfectly sized for days on the move when you need your camera, gear and a few personal items all in one place. 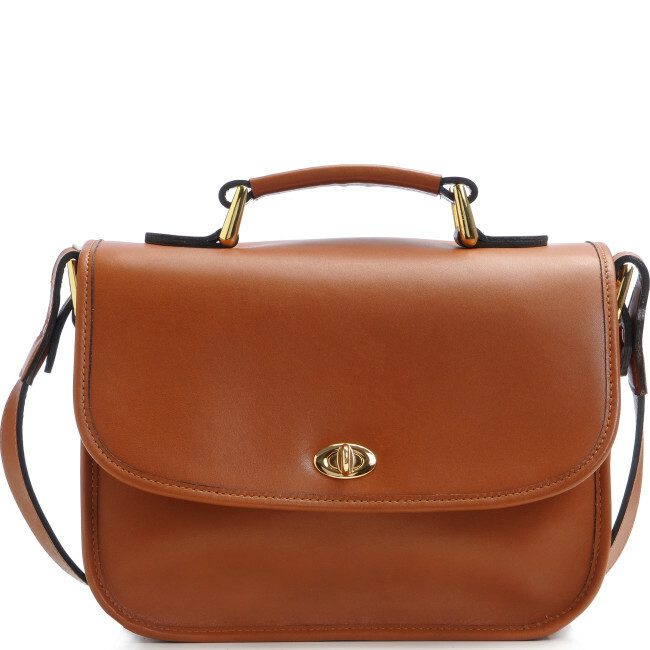 Simple but stylish, it’s a versatile leather camera bag. The padded foam interior is built to accommodate a DSLR and up to two lenses, with a slim 10” front pocket and streamlined slip-pocket to the rear. Instantly access your essentials with the convenient turn-lock, to ensure that you never miss a moment when shooting on the move. The sturdy grip handle is perfect when you’re in a hurry, although the 51” crossbody strap offers a safe and comfortable journey when travelling through busy cities. Handcrafted from premium leather and complete with gold accents, it’s a truly stunning camera bag for use on set and off. Made from light brown leather, this high quality bag is designed to acquire a patina over time that will tell the story of its owner. However to care for your bag, apply a natural leather wax at least once a year, to reinforce the natural shine and water-resistance of this robust material. Leading the way with an extensive collection of premium camera bags, Ona fuses functionality, style and quality for photographers around the world. Established in the US in 2005, over the past decade Ona has demonstrated that the modern photographer needn’t compromise on style when carrying their equipment.